Ever wondered if you may be the parent of a future Joseph Schooling, David Beckham or Serena Williams? These sports academies for kids offer dedicated programmes and coaches designed to bring out the best in your children. Many of them also prepare promising young athletes to take part in competitions locally and abroad. Even if your children don’t pursue a sporting career down the road, what’s important are the active lifestyle and life skills they develop now that will stand them in good stead long after they’ve grown up. Founded by Singapore legends Fandi Ahmad and Steven Tan, F17 Football Academy coaches over 500 budding footballers. Each coach trains no more than eight children in the Under-4 and Under-6 age groups, while the ratio is about 1:15 for the older kids. Coaches at F17 practise Guided Discovery and Collaborative Training, where kids are allowed to make mistakes. Rather than punishments, coaches mete out strategic questions to encourage the child to problem-solve, in a bid to foster a child who is confident facing problems both on the field and in real life. A not-for-profit organisation run by volunteers, Dragons Rugby Club trains over 350 kids. 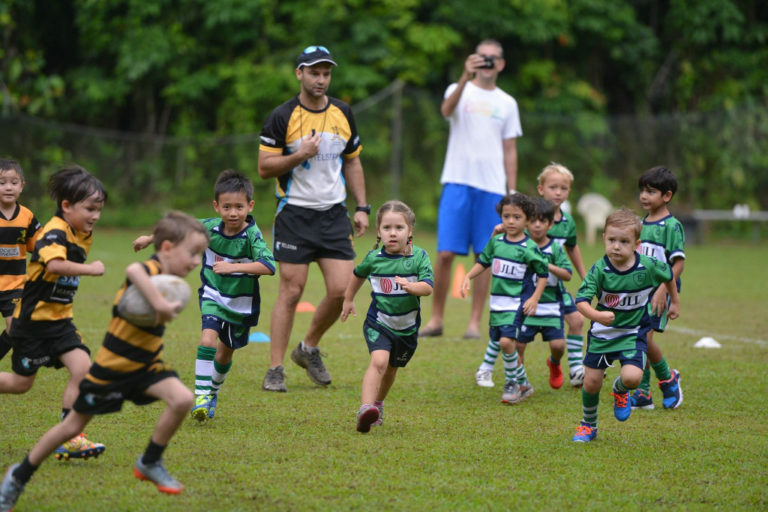 The little ones in the Under-5 to Under-7 age groups play touch rugby to get them started, while Under-8 and older play contact rugby. 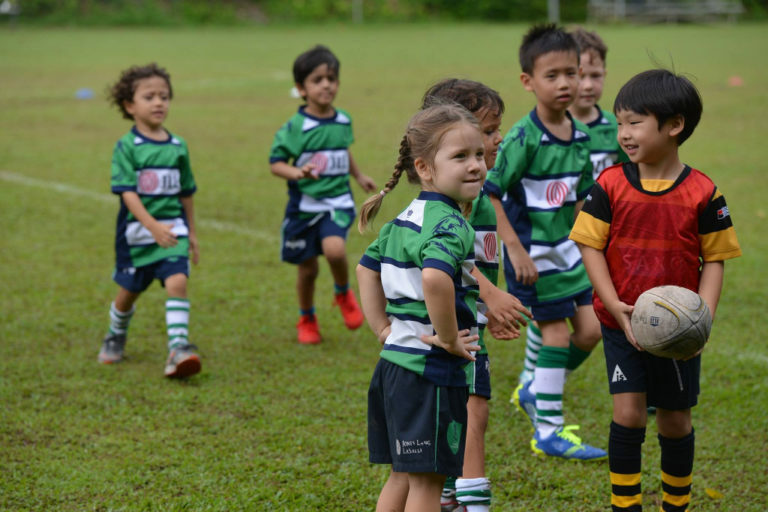 Subscriptions are kept to a minimum and children unable to afford the fees may receive sponsorships in order to give every child the opportunity to play rugby. Facilities include underground parking, covered seating area and a café for waiting parents. 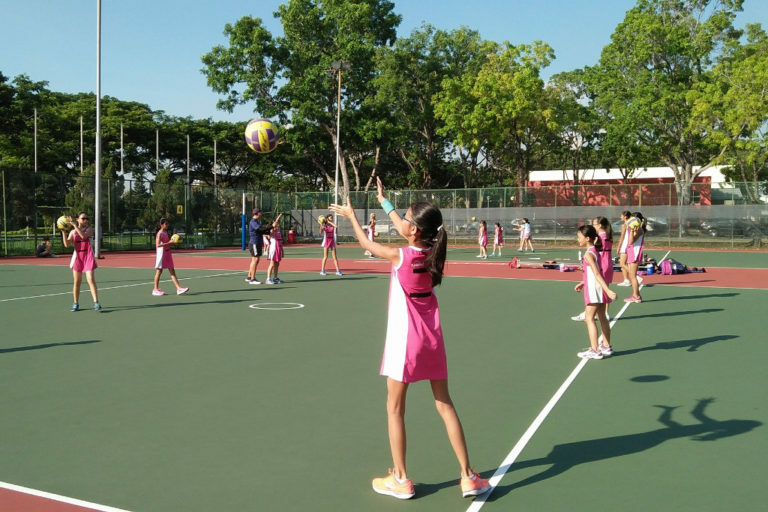 Singapore has a great track record in netball, and The Kids Network is also Singapore’s first netball academy for kids. Young girls learn everything from fundamental movement to netball skills and game strategies, as well as important knowledge such as basic sports nutrition and injury prevention. 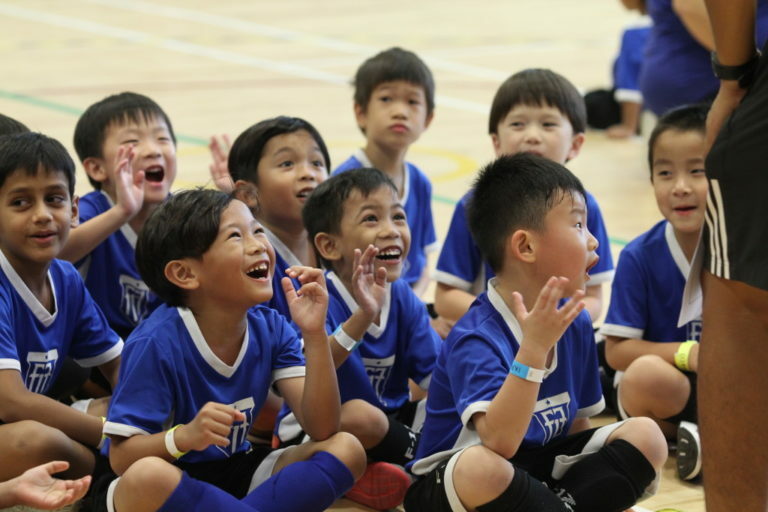 Under experienced and nurturing coaches, they also get to develop teamwork and communication skills in a fun and positive learning environment. 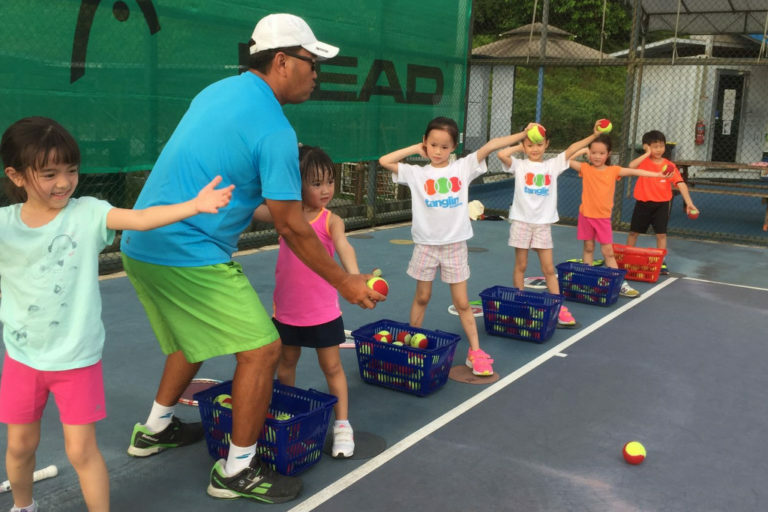 Tanglin Academy specialises in tennis lessons for children aged four years and up. The Play & Stay Program introduces tennis to little ones through three stages: Red Ball uses bigger balls with mini rackets on smaller courts; Orange Ball uses regular-sized balls with lower pressure; Green Ball uses regular-sized courts and equipment to train kids in basic techniques. Upon graduation, the kids are promoted to the Junior Program to further refine their skills and prepare them for the competitive classes and junior tennis tournaments. Want your kid to be the next Ronald Susilo? 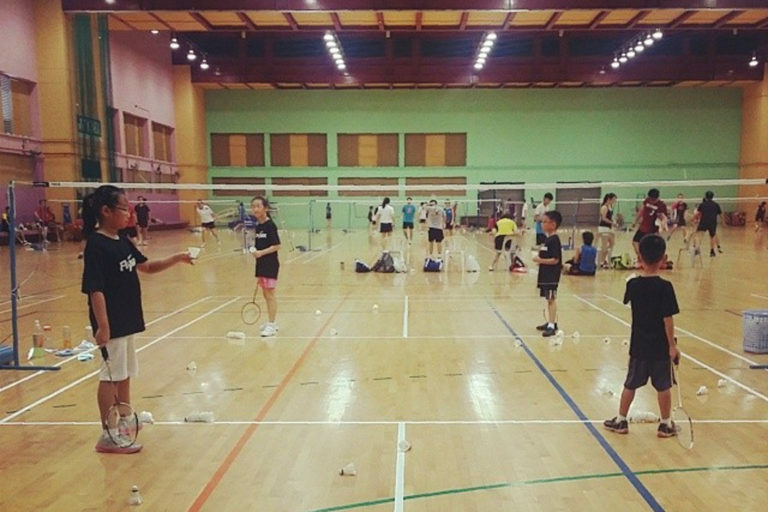 Then enroll them for badminton training with Flymax Badminton Academy. Dedicated coaches train beginners to advanced learners in building a good technical and physical foundation before progressing to the next level. 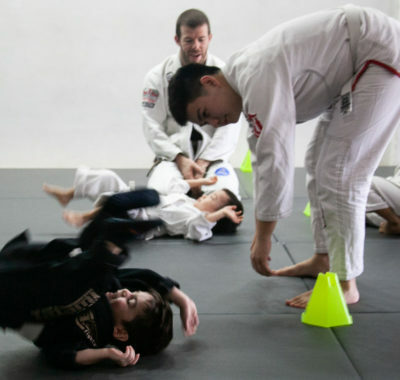 The coach to student ratio is 1:6 for beginners and kids are trained according to their growth and development using systematic and scientific training methods. Specialising in a Parent & Child programme called Duckling, Aquaducks conducts 30-minute lessons that focuses on parent-child bonding, unconditional love and imparting water confidence through songs and games. 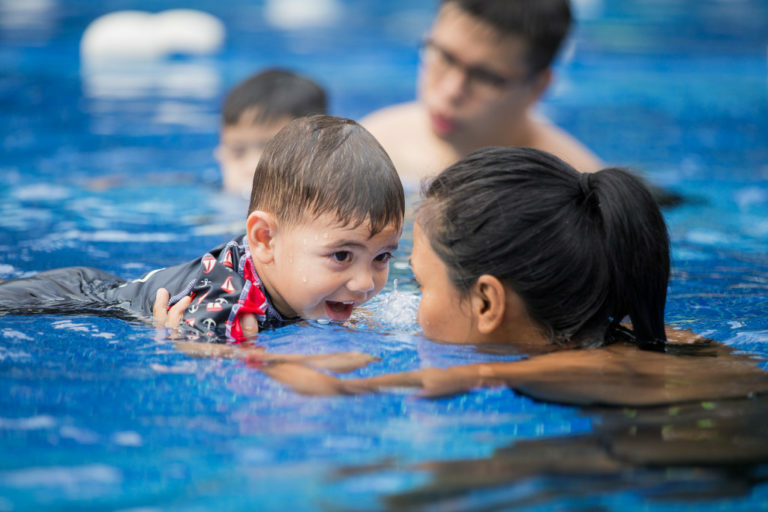 The emphasis is on learning though play, so that little ones as young as six months old up to 4.5 years can develop safety skills in and around water. Once they are ready, they can move on to the Duckie programme for preschoolers and beyond. The pools for Duckling and Duckie programmes are sheltered and temperature-controlled. The Learn-to-Swim programme at Swimfast covers babies from eight months to kids six years old. Those who wish to train competitively may continue with training squads from six years and up. 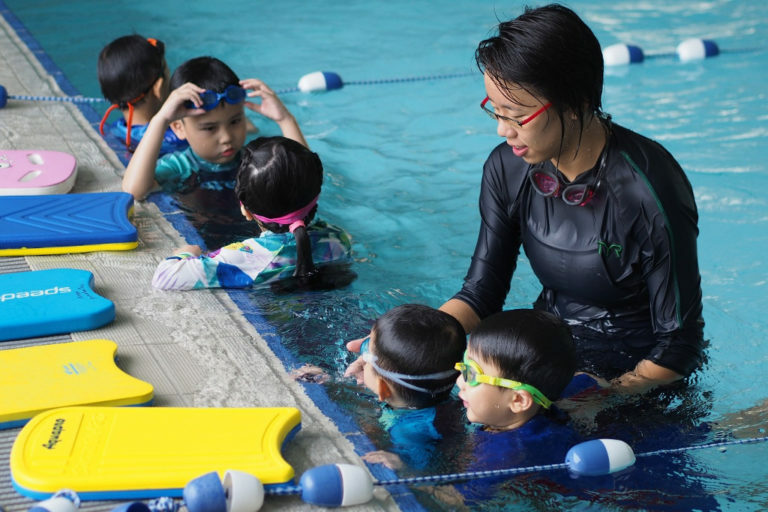 A one-stop swimming instructional company founded by two-time Olympic swimmer David Lim, Swimfast believes in small student-teacher ratios, patience and continuous improvement. It’s well-represented on the national team, including the three medal-winning Quah siblings! 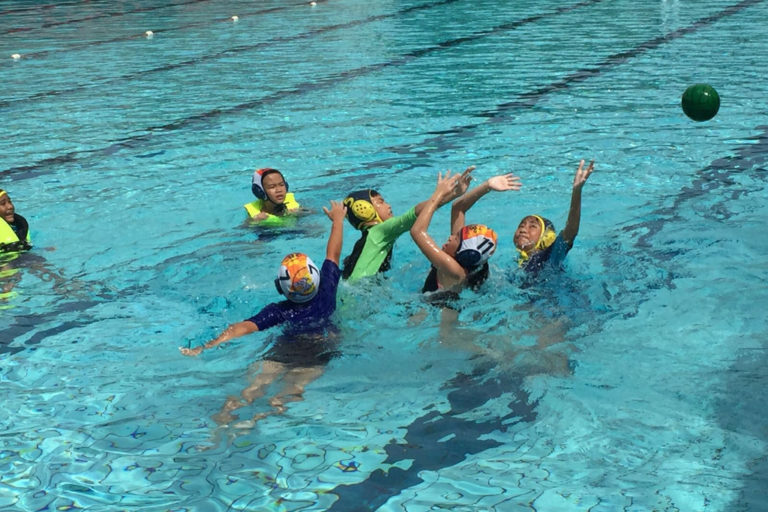 Given that Singapore’s national men’s water polo team has ruled the SEA Games since time immemorial, why not keep that winning streak going by sending your child for water polo lessons? 28° Aquatic offers a holistic training programme, starting with a 12-week introductory course for seven- to 12-year-olds. Do note that your child must be able to swim 25m freestyle or breaststroke to qualify. They also conduct Flippa Ball camps during the school holidays to give kids a taste of the sport. 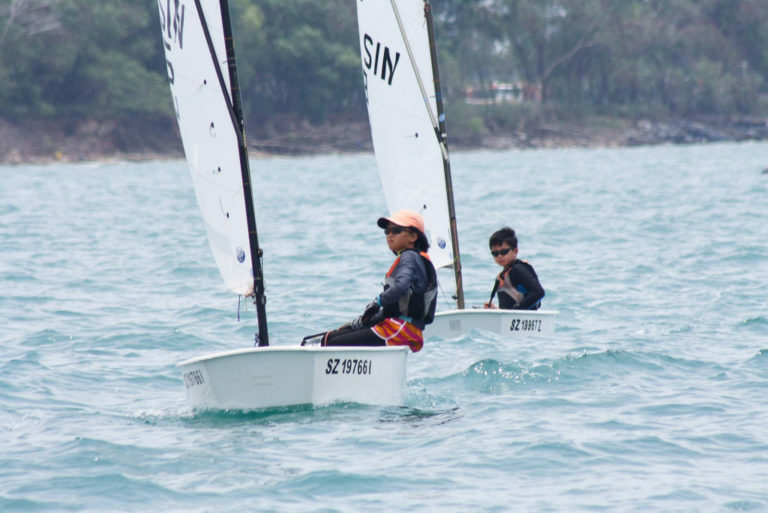 Endorsed by Singapore Sports Council, the SAF Yacht Club’s Get Kids Afloat programme introduces kids to the sport of sailing. Over four full days (9.30am to 5.30pm), they will undergo theory and practical lessons related to Optimist, Topper and Laser Pico crafts. Besides having fun, sailing also instills confidence and hones decision-making skills. Parents can attend a briefing on Day 1 to get an overview and enjoy a complimentary powerboat ride on Day 4 to watch their kids in action. Note that participants must be able to swim at least 50m with the aid of a life vest. Gymnastics is said to be a solid foundation for all sports as it develops a child’s physical, mental, social and emotional well-being. It hones flexibility, strength, coordination and discipline, critical skills that will benefit a child for a lifetime. At Prime Gymnastics, recreational gymnastics begins for tots as young as 18 months with Gym-tots, a parent-and-toddler class, all the way to 14 years and beyond. Those with potential can continue training at competitive levels, as did many of Singapore’s national gymnasts. If your kids love trampoline parks, why not enroll them in the Jump Acrobat programme? It teaches foundation trampolining skills based on the Long Term Trampoline Athlete Development model from Gymnastics Canada. 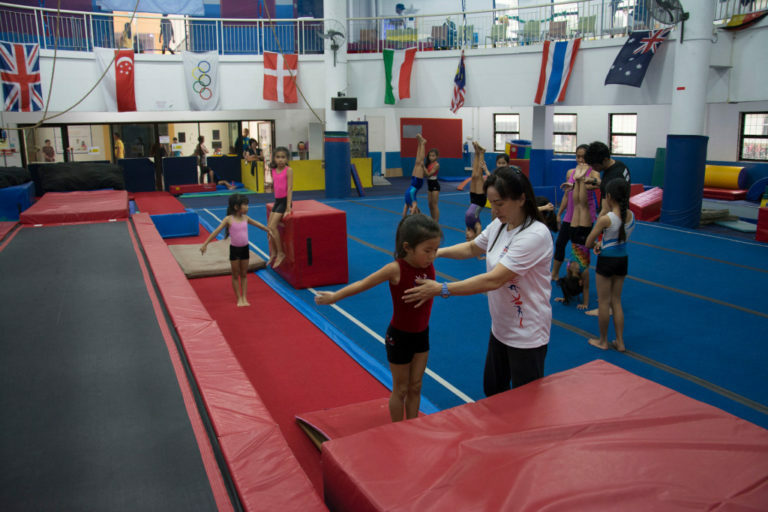 Conducted at Singapore Trampoline Academy by British coach Jessica Hinton and her team, kids are split into age groups of Under-8, Under-10 and Under-13, and can even go on to take part in competitions. Kids will not only have fun learning how to jump high, but also how to land safe. 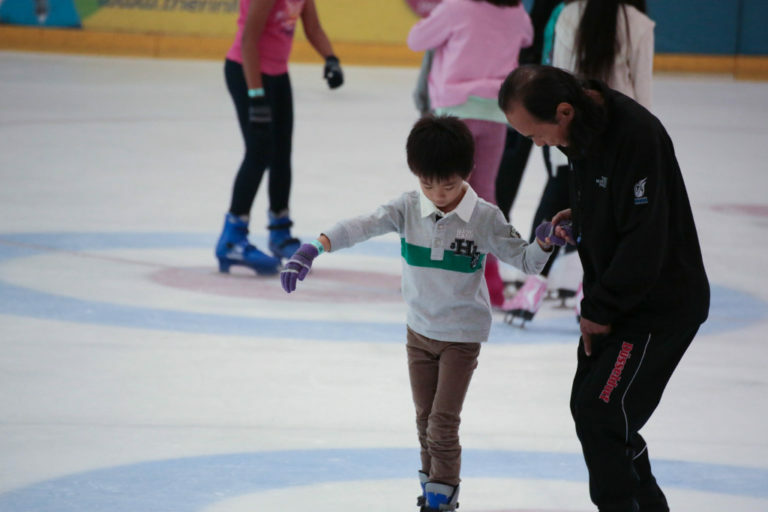 Did you know you can learn how to ice-skate even in sunny Singapore? SKATESTAR is a national Learn-to-Skate program developed by the Singapore Ice Skating Association in collaboration with the Singapore Ice Hockey Association. Basic Learn-to-Skate lessons teach kids from six years and up the fundamentals over five half-hour lessons (including two hours practice time after each lesson). Preschoolers can also join the Kids Learn-to-Skate class. Lessons are conducted at The Rink, and graduates can move on to advance lessons for figure skating, speed skating and ice hockey. If your children aren’t quite ready to pick a favourite sport, then sign them up for a fun multi-sport programme like Ready Steady Go Kids. Australia’s largest multi-sport programme for preschoolers covers five sports each term. They teach a total of 10 sports, as well as fundamental movement skills little ones need. These include balance, spatial awareness, hand-eye coordination, leg-eye coordination and many more. Most importantly, it aims to spark a lifelong love for sport and fitness. 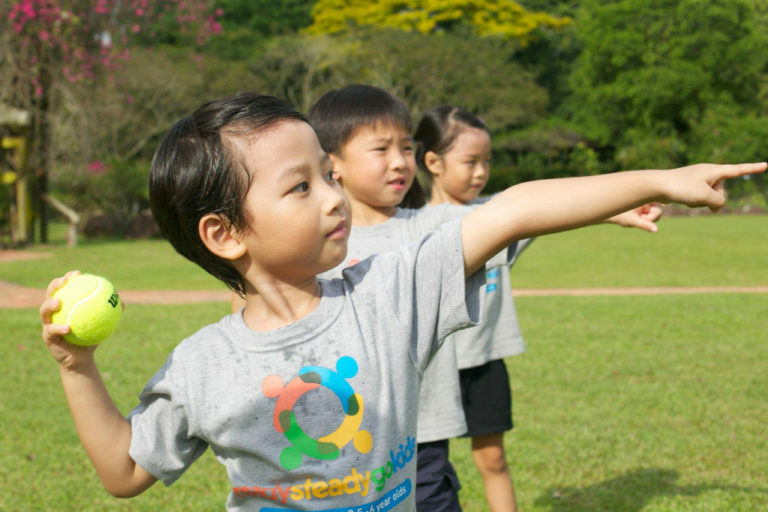 Quote promo code “SINGAPOREMOTHERHOOD” to enjoy a free trial session at Ready Steady Go Kids, and 10% discount off the Create-Your-Own Holiday Programmes till January 2018.